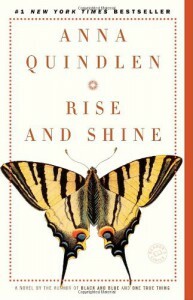 I feel like I always want to like Quindlen's novels a lot more than I actually do. Nothing about this felt new or surprising, and the two main characters were more annoying than sympathetic. The whole thing just felt like the author wrote a novel because she was supposed to, not because she actually cared about writing. It was ok, but not particularly memorable or impressive.